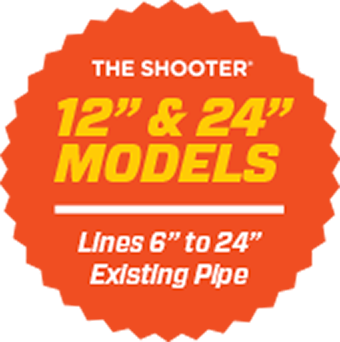 THE SHOOTER® is the cost effective, long-lasting, portable, trenchless sewer line repair system. THE SHOOTER® is a trenchless repair machine that has been specifically designed to help rehab old sanitary lines to reduce infiltration and exfiltration without excavation. It helps contractors minimize congestion in work areas by simplifying and expediting their installations of CIPP relining projects, and allows for smaller construction footprints to the environment and surrounding neighborhoods. 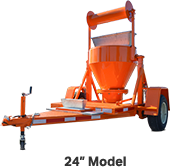 The extremely mobile machine further enables installation of longer runs of pipe relining, diminishes impact to traffic, and reduces costs to owners. With THE SHOOTER®, contractors can simplify and expedite their installations of cured-in-place pipe (CIPP) relining projects. With its development of the continuous air inversion machine Emagineered Solutions® is the forefront innovator in the industry: THE SHOOTER® represents a radical improvement over other CIPP installation and repair processes. Many of our customers claim their trenchless pipe repair productivity has increased two to three fold after using THE SHOOTER®. They can be more responsive to their clients—cities, municipalities and public utilities among them—by having THE SHOOTER® on all their CIPP liner projects. 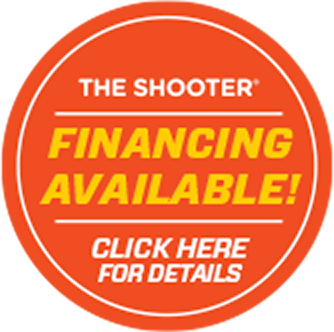 THE SHOOTER® is built to take the abuse of the industry while providing user-friendly features that allow crews to boost performance for their rehab trenchless repairs. THE SHOOTER® has changed the CIPP industry and has become extremely popular in the United States, Canada, Europe and Asia. “OnSite Challow are pleased to announce, as part of their continued investment in rehabilitation equipment, techniques & products, the arrival of three new “SHOOTERS” – CIPP(Cured In Place Pipe) Inversion Units. These replace two older “SHOOTERS” which have been in use for the last 10 years installing many thousands of kilometers of linings with the first shooter having been introduced to the Wessex Water contract which now gives them more versatility to lining installations. Onsite have chosen the new “SHOOTER” because of its reliability, it is robust, it is adaptable to the type of curing process we choose and it is capable of continuous air inversion for longer lining installations. The “SHOOTER” is also user friendly and is versatile to the more challenging sites where access is difficult.